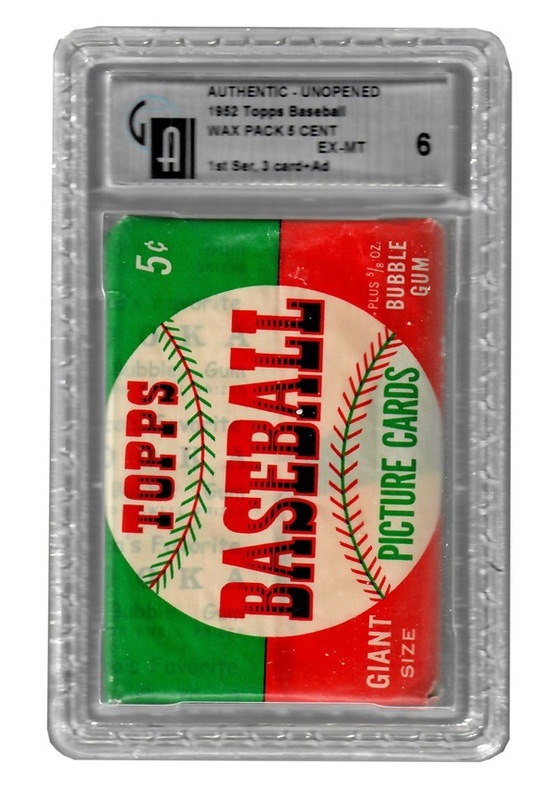 The 1952 Topps baseball series is the most popular sport card set ever produced. 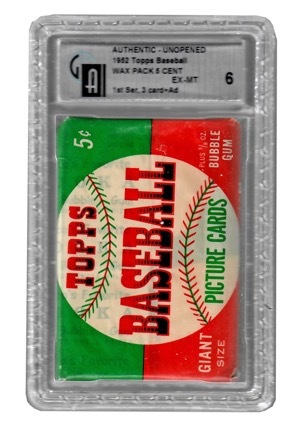 Offered is an unopened wax pack from the first series containing three cards. 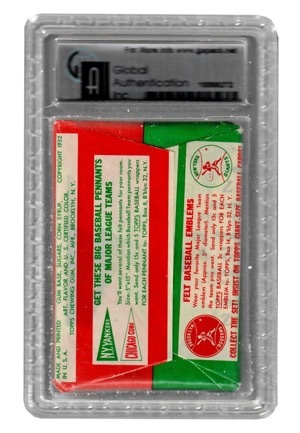 Note that it is unlikley this pack will cross over to a PSA holder and is being offered as is. The pack has been encapsulated and graded EX-MT 6 by GA.